Portland Reaches 25% Cycling Mode Share! It took a bit longer than expected, but Portland’s lofty ‘2030 Bike Master Plan‘ goal of attaining 25% of traffic trips taken by bicycle has finally been reached. After years of stagnation at the 6% mark, a critical mass of galvanized citizens compelling complacent politicians has created a perfect storm. Portland finally has seen a steady annual increase in the number of its denizens confidently pedaling a bicycle to work, to school, and to shop. Most Portland advocates have historically yearned to make their city into the cycling mecca that Amsterdam, Copenhagen, and other cities like Hamburg already are. Ironically, there used to be widespread concern that scarce funding for better bikeways and a lack of political will would eventually stunt Portland while New York, Chicago, and even Los Angeles moved forward with greater ambitions. Rebel Metropolis Bicycle Drunk-Cast: Volume 3! 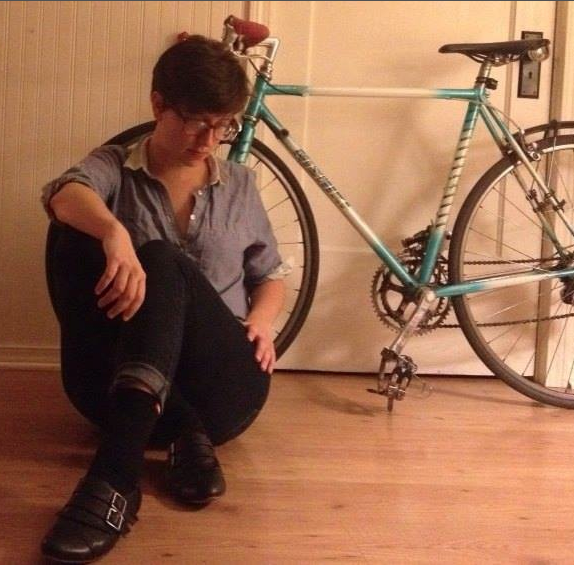 One windy night last week, cycling poet Meg Brennan joined me in my home to record the third installment of Rebel Metropolis’s drunken bike-themed podcast. Topics of discussion involved Portland’s recent Snowpocalype 2014, using bikes as tools of civil disobedience, pedestrian fatalities, the political spectrum of bicycle advocacy, bike shopping at Wal-Mart, why there aren’t cycling commercials in prime time and what groups like People for Bikes could do to change that, and the international phenomenon of Sneckdowns. We aslo discussed local activist and friend Michael Hernandez‘s recent legal triumph over the Portland Police Bureau. Mike himself will be joining the podcast next week to talk about his arrest, court trial, and the PPB refusing to return his beloved bike ‘Darlene’ to him.